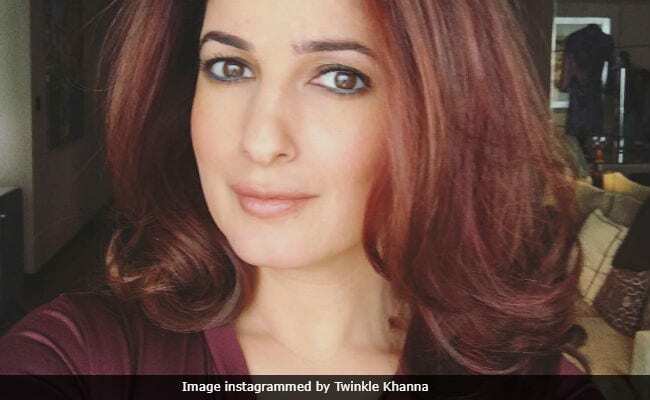 Twinkle Khanna said: "A lot of people think women should stay at women, so why give them an excuse to stop women from doing anything"
PadMan producer Twinkle Khanna said that period should not be used as an excuse to take leave, reports news agency IANS. Twinkle, 43 said, "If there is too much pain, then one can take an off just like they do for any other sickness like a stomach ache. Women should not make period a reason to take a leave." PadMan, headlined by Akshay Kumar (Twinkle's husband), discusses the need of better menstrual hygiene in India through the real life story of Arunachalam Muruganantham, the inventor of low-cost sanitary pad making machine. Of menstrual leave, Twinkle told IANS: "A lot of people think women should stay at women, so why give them an excuse to stop women from doing anything." In India, a few firms have initiated 'first-day of period leave' policy, which has been criticised by many people, who suggest this will undo the effort of women seeking equal opportunities. A few campaigns also advocate 'first-day of period leave.' "I was a part of a show where in a lady said she runs more when she is on her period, so that no one can tell her to sit at home because she is weak," Twinkle added. Arunachalam Muruganantham revolutionised the concept of menstrual hygiene in rural India. Before PadMan, Twinkle Khanna adapted Mr Muruganantham's story in her short story, titled Sanitary Man From A Sacred Land. "I was doing some research and reading some columns on menstruation and I came across Muruganantham's story. Immediately it gripped me because this was an incredible story. There were two parts to this story. One part was menstruation where a man was doing something for his wife. It was also a story about innovation where a man was not limited by his educational qualifications or his lack of proficiency in English and he goes on to become an innovator," Twinkle told IANS. She added: "So even if we want to give a message across, we have to give it in an entertaining way. If it is not going to interest people then they will not watch the movie." PadMan also stars Sonam Kapoor and Radhika Apte and the film will open in theatres on Friday.